Would I buy a product just because of its beautiful packaging? Absa-bloody-lutely I would! 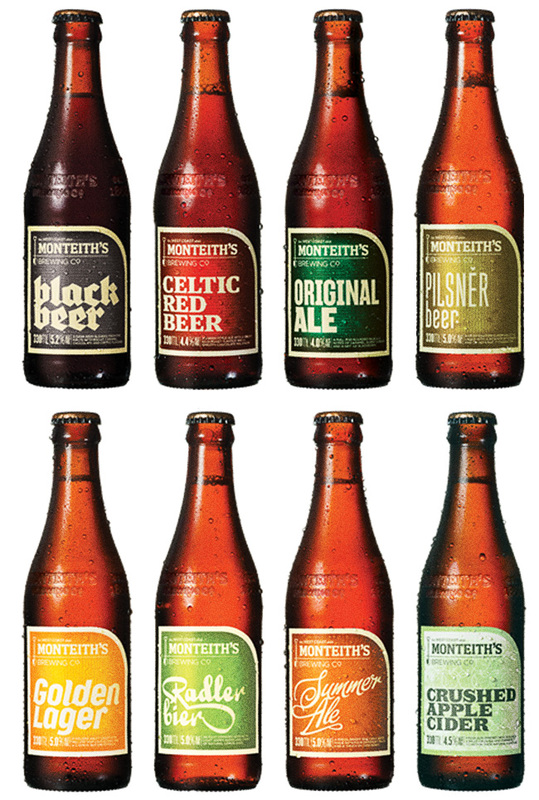 The Monteiths range is simple, classic and communicates so well the personality of each flavour, whilst maintaining a clear visual system which shows how the various bottles all belong to the one family. A brand I'm very happy to devote to, luckily the beverages are delicious! Snaps to you, Designworks of New Zealand. Yeah. The packaging has to be BAM! and give a positive impact from the get-go. It's all part of the experience of enjoying a good brew, don't you think? A good look can give the mind a positive mindset and allow one to enjoy consuming the drink even more.